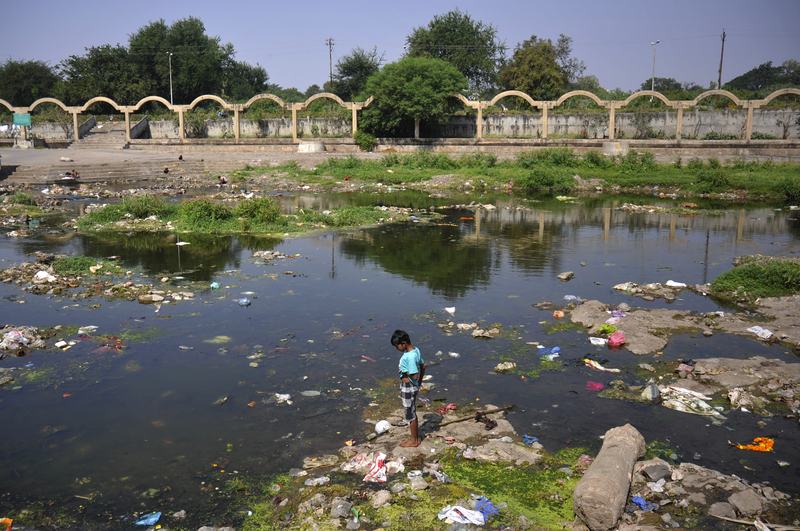 Boy in Nashik, India has been submitted to the challenge ‘Planet or Plastic?’ on Nat Geo. Kristian Bertel has contributed to the National Geographic Your Shot community with a challenge called ‘Planet or Plastic?‘ that can be seen on the tag ‘#planetorplastic‘. Plastic has become a global issue that is polluting our planet, endangering our wildlife and threatening the health of our environment. We could share our Your Shot images that show how much we interact with plastics on an everyday occurrence as we look to address how we are going to choose the planet or the plastic. The plastic pollution problem is in plain sight. It affects us all. Plastic pollution is the accumulation of plastic products in the environment that adversely affects wildlife, wildlife habitat or humans. Plastics that act as pollutants are categorized into micro-, meso-, or macro debris, based on size. Plastics are inexpensive and durable, and as a result levels of plastic production by humans are high. However, the chemical structure of most plastics renders them resistant to many natural processes of degradation and as a result they are slow to degrade. Together, these two factors have led to a high prominence of plastic pollution in the environment. Plastic pollution can afflict land, waterways and oceans. Living organisms, particularly marine animals, can be harmed either by mechanical effects, such as entanglement in plastic objects or problems related to ingestion of plastic waste, or through exposure to chemicals within plastics that interfere with their physiology. Humans are also affected by plastic pollution, such as through disruption of various hormonal mechanisms. This large amount of plastic waste inevitably enters the environment, with studies suggesting that the bodies of ninety percent of seabirds contain plastic debris. In some areas there have been significant efforts to reduce the prominence of plastic pollution, through reducing plastic consumption and promoting plastic recycling. There are three major forms of plastic that contribute to plastic pollution: Microplastics as well as mega- and macro-plastics. Mega- and micro plastics have accumulated in highest densities in the Northern Hemisphere, concentrated around urban centers and water fronts. Plastic can be found off the coast of some islands because of currents carrying the debris. Both mega- and macro-plastics are found in packaging, footwear, and other domestic items that have been washed off of ships or discarded in landfills. Fishing-related items are more likely to be found around remote islands. These may also be referred to as micro-, meso- and macro debris. ”- Plastic debris is categorized as either primary or secondary. Primary plastics are in their original form when collected. Examples of these would be bottle caps, cigarette butts and microbeads”, it is said on Wikipedia. Due to the use of chemical additives during plastic production, plastics have potentially harmful effects that could harm humans. Humans can be exposed to these chemicals through the nose, mouth or skin. Although the level of exposure varies depending on age and geography, most humans experience simultaneous exposure to many of these chemicals. Average levels of daily exposure are below the levels deemed to be unsafe, but more research needs to be done on the effects of low dose exposure on humans. A lot is unknown on how severely humans are physically affected by these chemicals. Some of the chemicals used in plastic production can cause dermatitis upon contact with human skin. In many plastics, these toxic chemicals are only used in trace amounts, but significant testing is often required to ensure that the toxic elements are contained within the plastic by inert material or polymer. ”- The plastic pollution can also affect humans in which it may create an eyesore that interferes with enjoyment of the natural environment. Together we can reduce single-use plastics and make a lasting impact”, the photographer Kristian Bertel says.